Announcements > Watch The Madness Anywhere – Register for TV Everywhere Today! 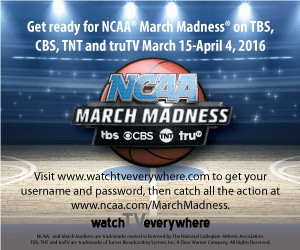 Watch The Madness Anywhere – Register for TV Everywhere Today! TV Everwhere is available to Alpine FusionTV subscribers, so have your Alpine Communications account number handy when you register. You only need a subscription to the network you want to watch. For example, you must be an DIY subscriber (Premier Package) to watch DIY’s Watch TV Everywhere programs. It’s quick, easy and included with your FusionTV service!